Starlight Academy is facing a predicament thanks to the rise of the new rival idol training school, Dream Academy. 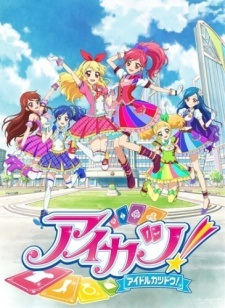 The Dream Academy's "cool beauty" Seira Otoshiro is a major new idol with talent in rock music and perfect pitch, while Kii Saekusa is a genius who enrolls in the academy's producer course. The two academies face off for the honor of training the top idol.